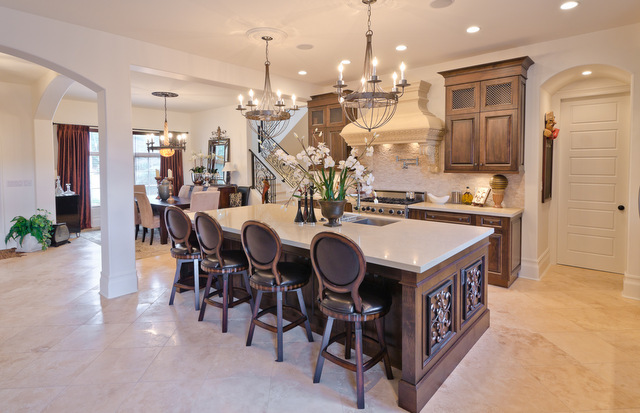 Brynwood Preserve is a small Naples gated community developed in 2003 by Pulte Homes. The 85 single-family homes are built around two lakes. The community itself is surrounded by three acres of nature preserve. The gated entrance to the Brynwood Preserve is on Livingston Road, less than a mile west of Exit 107 on I-75 and just a third-of-a-mile south of Pine Ridge Road. This location provides quick and easy access to all of Southwest Florida. The Gulf of Mexico and its beautiful beaches are a mere three miles to the west. Brynwood Homes For Sale - Updated Daily! One of the bragging rights for Brynwood Preserve is its location in what is universally acknowledged as the best school district in Collier County. Students attend Osceola Elementary School, Pine Ridge Middle School or Barron Collier High School. Osceola Elementary School is just a mile north of Brynwood Preserve on the west side of Pine Ridge Road. The mascot for the nearly 700 students is the Chiefs, paying homage to the famous Seminole Indian Chief Osceola. Pine Ridge Middle School is located at 1515 Pine Ridge Road, about two-thirds of the way toward the beach. The middle school has a current enrollment of just over 1,000. The school colors are blue and gray, and their mascot is the Panthers. The campus of Barron Collier High School is adjacent to Osceola Elementary. The Lady Cougars Varsity Basketball Team won the 2008 Class 5A state championship for the blue and grey. Both the men’s and women’s tennis teams won the state title in successive years in 2012 and 2013. Jeff Heuerman, a member of the 2015 Ohio State national championship football team played for the Cougars. He is now a tight end for the Denver Broncos. Schools are not the only thing convenient to Brynwood Preserve. A Starbucks and a Five Guys are at the intersection of Livingston and Pine Ridge Roads. Emergency medical care is just the other side of I-75 at Physicians Regional Medical Center – Pine Ridge. The facility was originally established in 1999 as a satellite operation of the Cleveland Clinic. The 101-bed acute-care hospital specializes orthopedics and cardiology and is noted for its Robotic Surgery Center. Robotic surgery means smaller incisions, shorter hospital stays, less post-surgery pain, and quicker healing time. The next major thoroughfare to the west is Airport-Pulling Road. Home Depot, Sports Authority, Toys ‘R’ Us, Sports Authority, and a Walmart Neighborhood Market are all there. Naples is known for its upscale shopping and fine dining venues. The Waterside Shops, the Coastland Center, Tin City, 5th Avenue, and 3rd Street are just minute away. Ultimately, there are the beaches. Many believe that Naples beaches are the best in all of Florida. Vanderbilt Beach is considered one of the top ten beaches in North America. Naples set the standard high. Brynwood Preserve means that high standard is available and just minutes away.